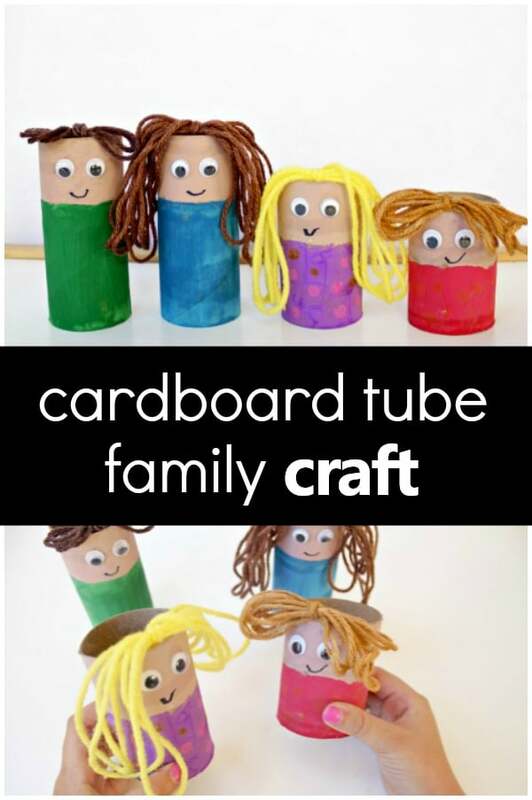 Continuing our fun learning about families, we created cardboard tube families for our craft this week. 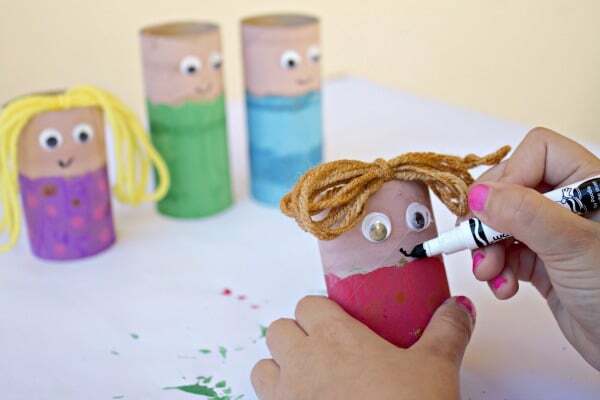 These cardboard tube families make for fun pretend play in a block, housekeeping, or dramatic play center. 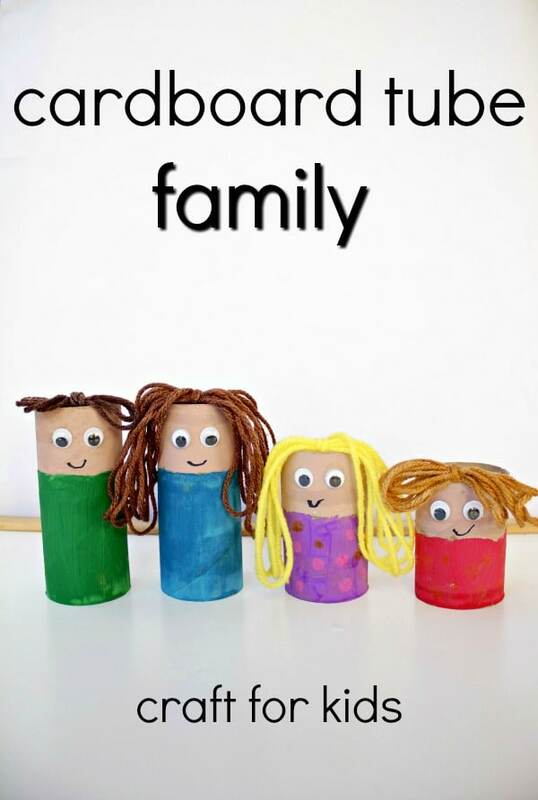 They also really encourage kids to engage in imaginative play using family members of their very own! 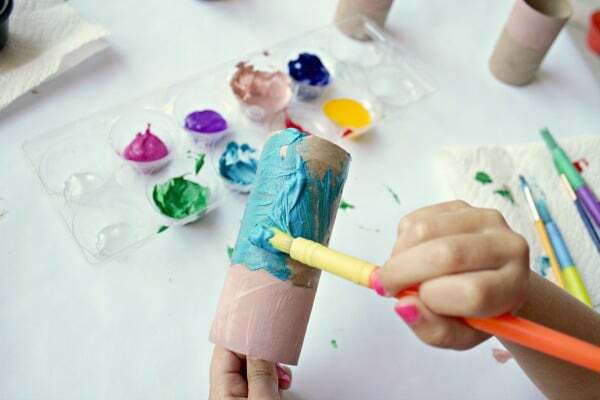 Hands-on imaginative play facilitates building vocabulary, strengthening social skills, and developing decision making through role playing. 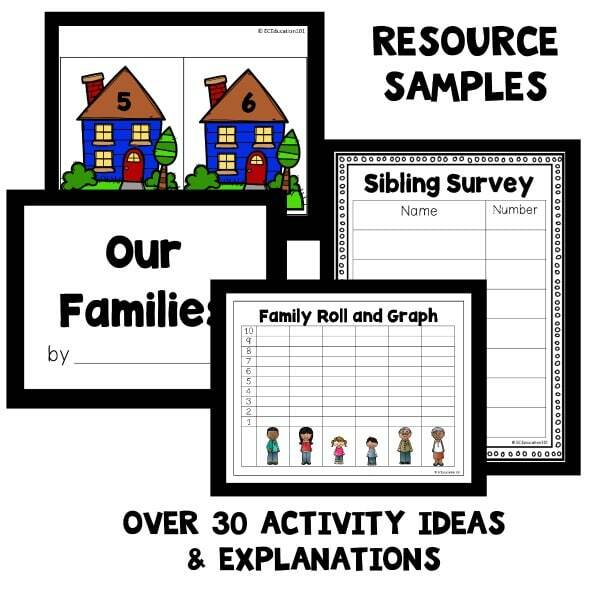 FOR HOME PRESCHOOL AND PRESCHOOL CLASSROOMS. 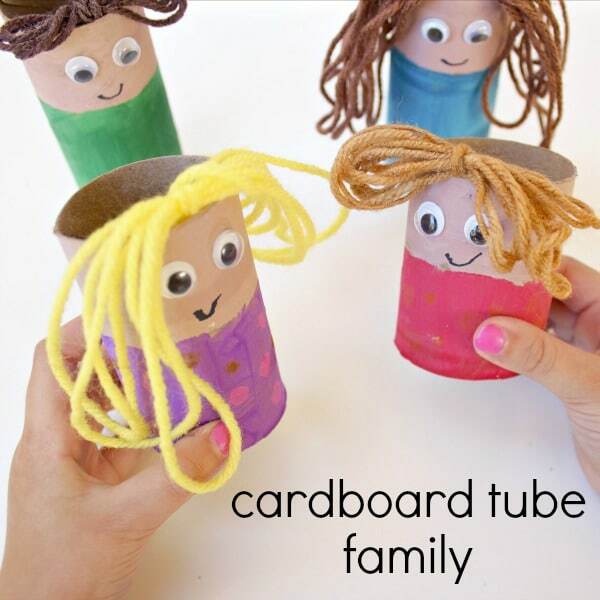 After you’ve gathered your materials, the first step in creating a cardboard tube family is to cut them down to size to represent the members of your family. We had a dad, mom, older sister, and toddler sister for our family. 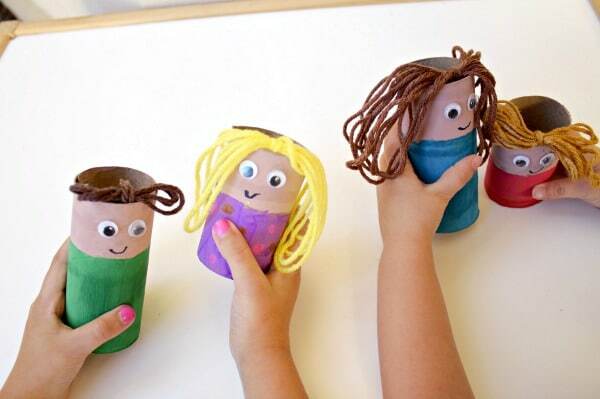 While the cardboard tubes were drying, we chose hair color for each family member using yarn. I found a multicolored spool of yarn at Walmart that included a variety of shades of brown as well as a yellow one. This was perfect for each of our family’s hair color. Cut the yarn into pieces that suit the length of hair you are aiming for. For longer hair, we used about 24-30 inches and for shorter hair 12-18 inches. Stretch the yarn out holding each end, then continuously fold it in half making each end meet. 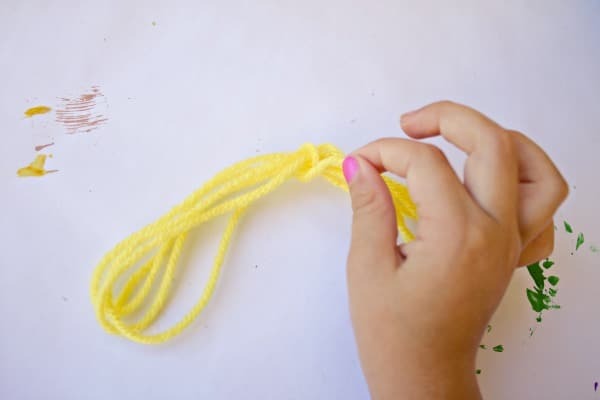 After you have your desired length, take the loose piece of yarn and wrap it around the center. 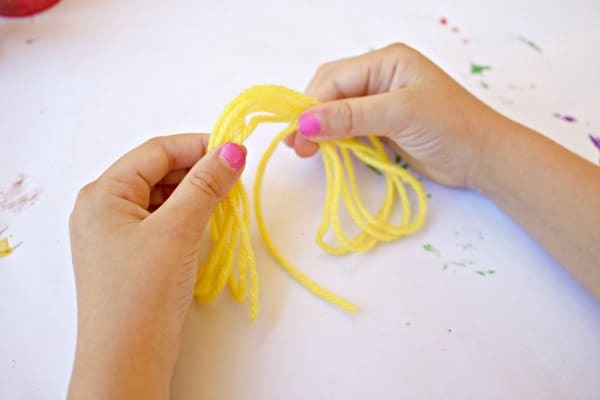 This is excellent fine motor practice for little hands wrapping and manipulating the yarn. Tie the yarn off and then glue it to the inner portion of the tube. Now it’s time to add the eyes and mouth. Using a little bit of glue, adhere the googly eyes to the tube and allow them to dry in place. Draw the mouth on with a marker. We used a black marker. Feel free to choose any color you like! Once all of the family members have their hair, eyes, and mouth you can start playing! 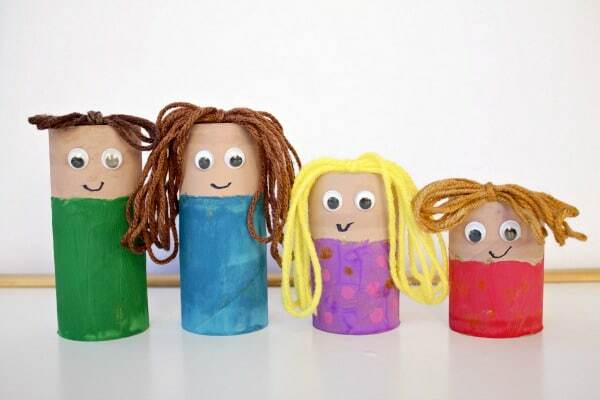 I enjoyed listening to the girls role play with their cardboard tube family. It’s interesting to hear what runs through their imaginations as they play with their little pretend family. 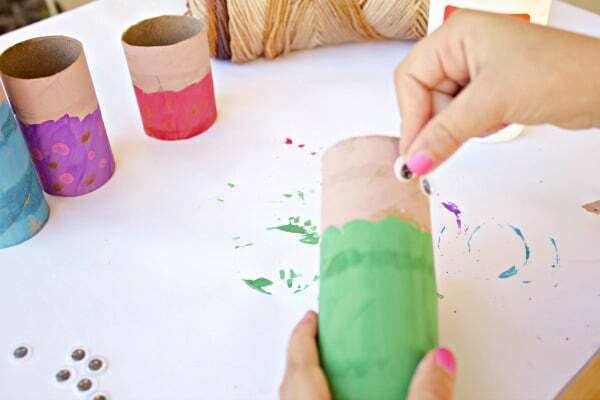 We hope you enjoy trying out this cardboard tube family craft! So far it’s a perfect addition to our imaginative housekeeping and block area. 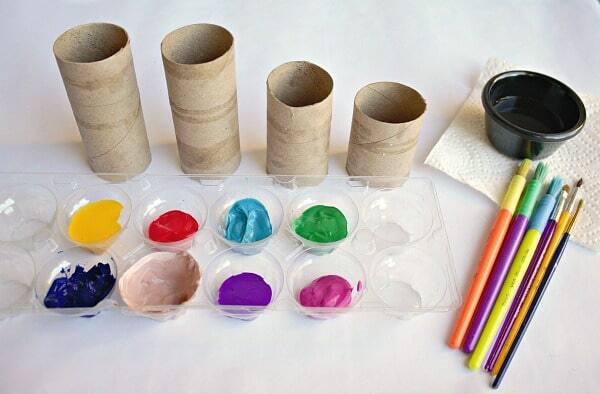 To continue the fun and learning, your kids might also enjoy our family sensory bin.